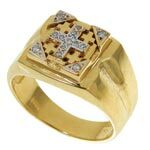 The infinity - everlasting love cross. Hand crafted art from Jerusalem. St. Silver + 18'' Silver chain - $59. 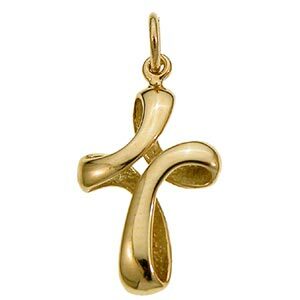 14K Gold pendant only- $129. 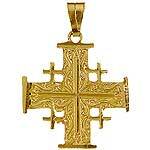 Additional 18" Gold chain is available upon request. Would you like a chain to go with it ?